Our Year 7 program places students at the centre and recognises that the transition from primary to secondary school is a vital step in a child’s education. We focus on the wellbeing of every new student, each of whom has a dedicated teacher as their Home Group teacher. The student’s Home Group teacher is his or her significant teacher in Years 7 and 8. The purpose of the Home Group teacher is to strengthen the student’s connectedness and belonging to school and ensure a positive learning environment for the child. The majority of core subjects are timetabled in the Year 7 home group area. This provides for the most efficient use of learning time, while exclusive Year 7 play areas, lockers and amenities build a sense of security and belonging. 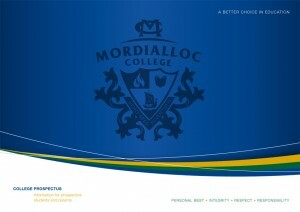 The College Brochure and Prospectus provide information about the performance of our school, our approach to teaching and learning and other valuable information that will allow you to make an informed decision about Mordialloc College. We encourage prospective parents and students to participate in our open events, College tours and other information and transition programs. 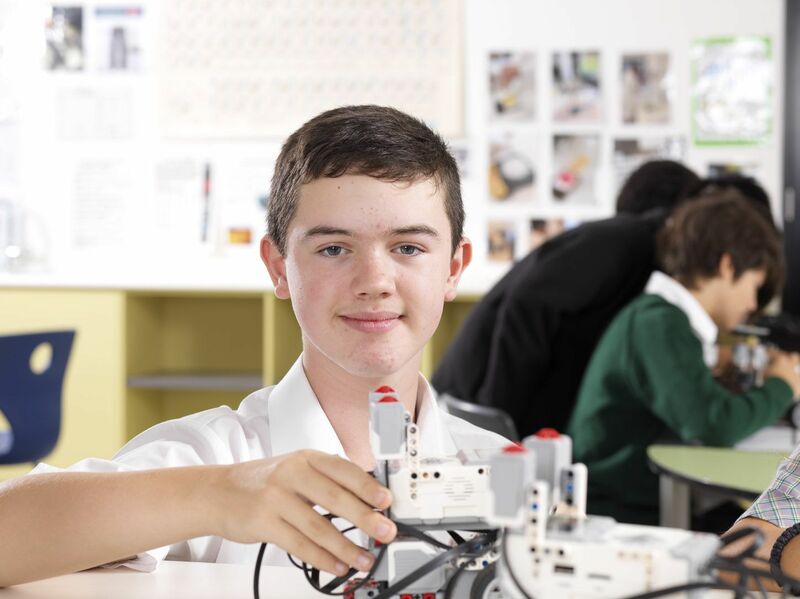 In order to help Year 5 and 6 parents and students make an informed choice about Mordialloc College, open night are held early in the year during April or May, prior to Year 6 student enrolment applications. The College also holds school tours weekly on Friday mornings led by the Principal class of the school. The tours start at 9.30am and last for approximately 45 minutes. Open Night and tours provide visitors with a clear picture of the programs in operation at the school and provide an opportunity to have questions answered. Tours with our Principal, Michelle Roberts, are held every Friday at 9.30am. Please contact Reception on 9580 1184 to book. Each year the College receives a large number of Year 7 enrolment enquiries. Applicants for Year 7 enrolments must complete a Secondary School Selection form which is available from primary schools. In April each year, primary schools distribute to parents an ‘Application for Enrolment’ form which should be completed indicating your first and second choice of secondary school. The completed forms should be returned to your primary school in May. The primary school will then forward these forms to the appropriate secondary school. In August, your primary school will advise you if your application to your first choice of secondary school has been successful. If unsuccessful, your second preference secondary college will be contacted and you will be advised of the outcome. 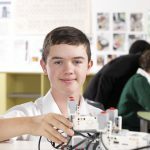 Each year the College makes available a limited number of scholarships to outstanding students and their families by providing financial assistance during Years 7 and 8. Students who excel academically, in sport or performing arts, or in leadership or community service, are encouraged to apply. These scholarships are awarded on the basis of an interview which is attended by a parent or guardian as well as the student.